Irwin hall auditorium, Beirut campus. 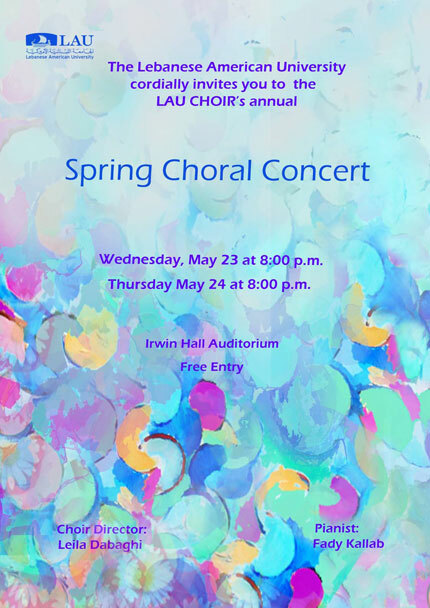 Join the Lebanese American University for its Choir’s annual Spring Choral Concert. The choir will be directed by Leila Dabaghi with Fady Kallab on the piano. The concert will take place on both Wednesday 23 and Thursday 24.